Critical to the success of all research trials, this position has immediate responsibility for the implementation of research protocols and the daily care, maintenance and management of a wean-to-finish farm. Research and development is a critical area of the Christensen Farms organization in our continuous strive for excellence. The research site manager will have the opportunity to manage one of Christensen Farm’s two research facilities, both located in Southcentral Minnesota. One of these research facilities is a double-white tunnel-ventilated barn with 96 test pens and two separate air spaces, while the other is a triple-long curtain-sided barn with 96 test pens. Four separate lines deliver water to each pen in each facility. Each site has the ability to remotely mix and deliver feed of any quantity, from any bin, to any pen in the barns through a 16-bin system. The newest research facility is the first in the U.S. to utilize the new, state of the art, AP EDGE controller. The research facilities have capabilities to weigh pigs individually and by large groups/pens. All of these key features allow us to evaluate the effect of the environment, water treatments and feed on Christensen Farms’ pigs. Inventory control feed, water, etc. Supporting and promoting company policies, procedures, and values. The duties of this job require a high degree of skill in maintaining established standards of quality and accuracy. Drive, determination and a self-disciplined approach to achieving results that meet these established criteria are a necessity for successful job performance. At times, the work will require technical problem solving while working within approved organizational systems and technology. New ideas and concepts are important but will be carefully analyzed and tested before communication and adoption. Apply online by clicking HERE or call 1-800-889-8531 for more information. Or click on the BLUE “Apply for this Job” button to email your resume. 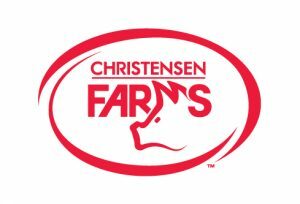 Please state Christensen Farms and the job title as the subject of your email application.